Made with excellence and quality Supra-fleece™ technology, ensure you give a quality business gift this winter with our Winter Gloves for Company Gifts and line up future business with a long lasting impression. These wonderful Winter Gloves for Company Gifts are the ideal business gift of freebie, you can post them to your clients and customers, or hand them out at trade shows or business conferences. Unisex fitting, Supra-fleece™ technology allows for firm heat insulation padding and flexibility to allow full movement and total comfort for these winter months. Customisable with embroidered logo for effective exposure! 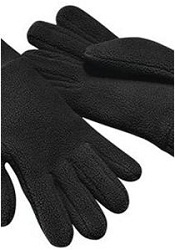 For a FREE QUOTE please fill in our contact form regarding our Corporate Gift Winter Gloves and we'll be able to help you.